Surrey would be operating a small sub-fleet of Nova's, and Nova's are not expected to goto STC. I'd just simply move all 47 XN40's to STC which retires all the LF's I'd then send the remaining 29 LFS's to HTC in exchange for 29 HEV's. HTC will end up with about 95 HEV's by the end of all the transfers. 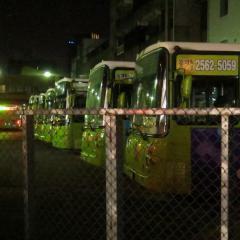 About 59 XN40's / 95 HEV's. I'm not really sure what the plan is regarding the XN40 order slated for HTC originally. I guess they give HTC 47 2019 XN40's and then transfer out 47 older ones to STC to replace the remaining D40LF's? with RTC officially without any D40LF's, HTC has about 16 left, and there still about 17 Nova HEV's left to enter service, so id say less than a month and HTC will be all HEV/XN40. The total # of hev's at HTC will probably be 96-97 once everything is said and done. With that being said, i think the 2019 XN40 order will goto STC. IF they goto HTC, then htc will probably transfer out 47 older XN40's to STC to retire the rest of STC's D40LF's, but D40LF's will be exclusive out of STC for a few months! I saw 2275 parked at Metrotown Station, but it was strangely a E40LF.. with sweep livery , it displayed 19 Stanley Park on the front and Arbutus on the side. 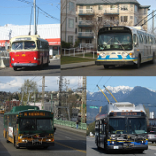 I heard the opposite, every route in the system is being trolleyized, and every artic route is being reduced to 40 footers and we're bringing back all the E901/2A's into service.. and we're retiring all of our Xcelsior buses! I'm going to guess these units will be slated for BTC, and the remaining DE60LFR's / 2015 / 2016 XDE60's will be shipped elsewhere?